Hanger Caps feature the same rugged construction as our Tuff Pak caps with an added hanging feature. Perfect for retailing applications including heavy products that will require the hanging of a packaging tube. These caps have a tight friction fit. 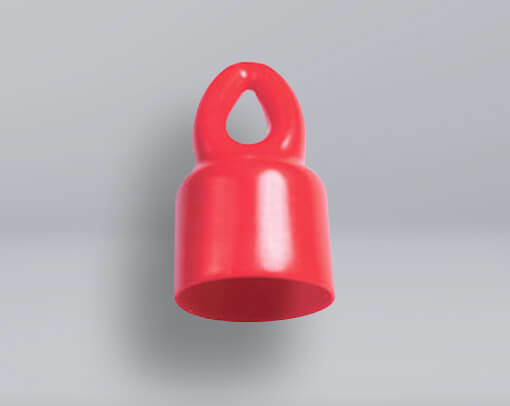 Hanger Caps are stocked in red and black for immediate shipment, but custom colors can also be produced.